The Wharf Master’s Inn offers the highest quality amenities and services and is a wonderful romantic getaway located in picturesque Arena Cove, Point Arena on the Redwood Coast of Northern California. The beautiful 24 room inn has panoramic ocean views, in-room two-person Jacuzzi tubs, large private decks, natural fireplaces, featherbeds, satellite TV, hi-speed internet and provides a continental breakfast to room guests. We can also accommodate weddings and events. Visit our website for more detailed information and great online specials! Whether you are looking for a private romantic getaway, are traveling with your family, interested in great fishing, golf or hiking along miles of pristine beaches, the Wharf Master's Inn is without question one of Northern California's premiere boutique hotels. We invite you to navigate our informative website that illustrates all we have to offer. However, as you peruse the incredible photographs and are captivated by the shear beauty of our historic inn and its geographic location, keep in mind that the feeling of grandeur you get from our website pales in comparison to experiencing this unique spot on Earth in person. 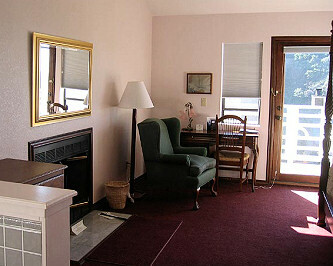 We invite you to be our guests at the historic Wharf Master's Inn, a treasure to be shared by all. Amenities - Panoramic ocean view, two person in room Jacuzzi, fireplace, featherbeds, high speed internet, cable TV, continental breakfast. Mention this ad and receive 10% off our normal prices! 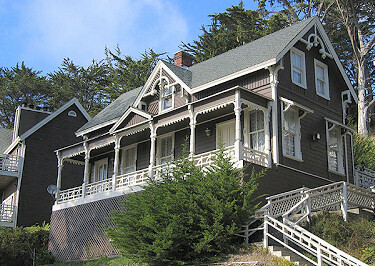 Romantic Country Inns, Getaways and B&Bs offer a great Mendocino lodging alternative to big hotels.